A heart warming sweet quote to dedicate to your best friend and let him/her feel proud on nine. We come across so many friends in our life but only few are lucky enough to have and hold a best friend for lifetime. If its true in your case, then this friendship image quote is for you. 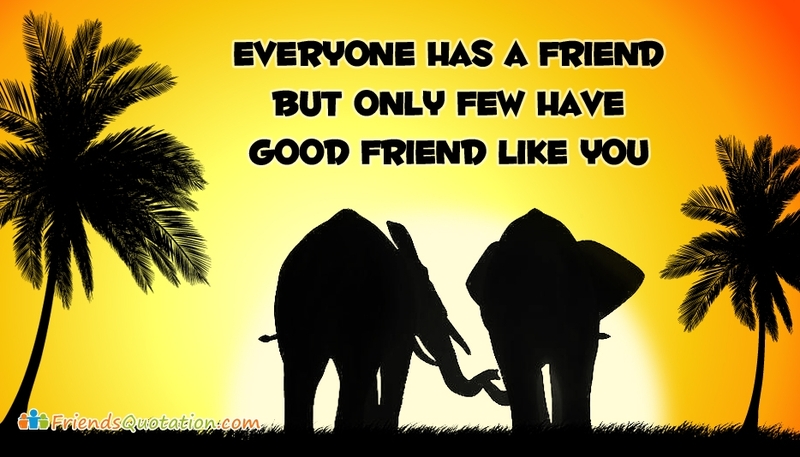 Free share th image "Everyone has a Friend But Only Few have Good Friend Like You" to your best friends.